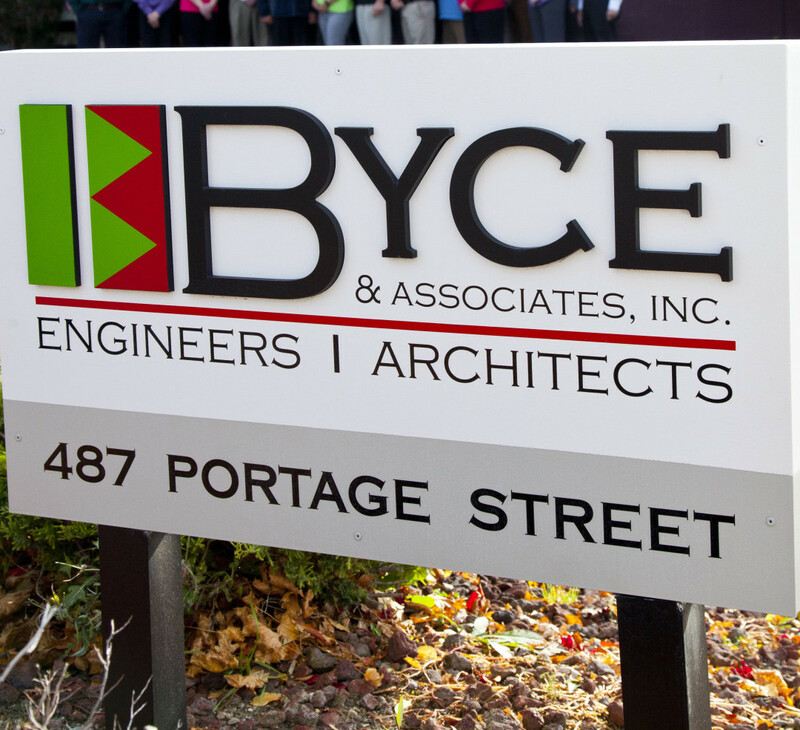 News - Byce & Associates, Inc.
New Mixed-Use Development Coming to Traverse City! 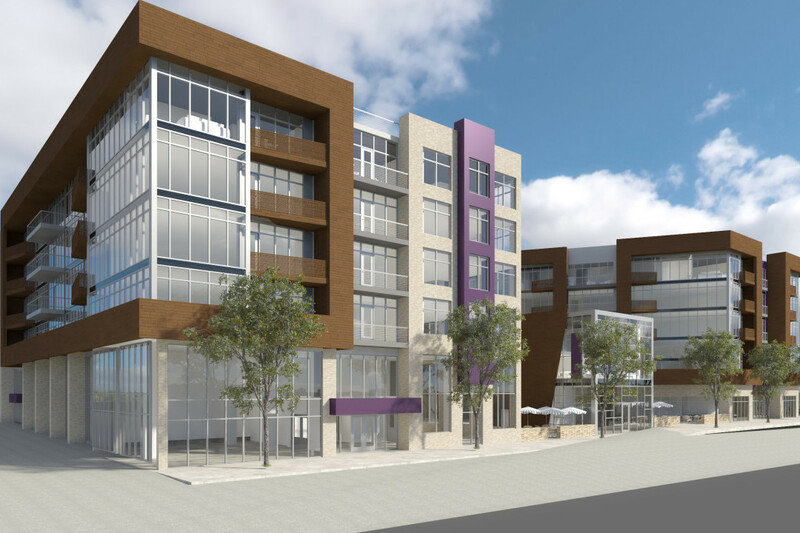 Pine Street Development, a Residential and Retail/Commercial Office Mixed-Use Development located on the corner of Pine Street and Front Street, along the Boardman River in downtown Traverse City, MI is currently in the design phase. Byce & Associates, Inc. is providing architectural and engineering services along with our design team members, Johnson Hill Land Ethics Studio and Mansfield Land Use Consultants, and Orion Construction the Construction Manager. The building will consist of 6 levels, including lower level, secured parking, 18,000 square feet retail space and office lofts, and over 230 residential apartments. Pine Street Development is intended will provide desirable housing opportunities while enhancing the vibrancy of Traverse City. Our design approach is to make each apartment not only livable but inspiring. The main focus was to develop a solution that would create positive outdoor space, and preserve views for residents and neighbors. To achieve this, we developed a solution that simultaneously increases the building façade with good views and provides energetically shaped open courtyards and dynamic streetscapes and storefronts. We developed a solution that arranges the buildings on the site in order to maximize the positive urban community contribution while creating desirable views, sight lines and access to the amenities of the river and the bay, while creating interesting, vibrant, open courtyards with dynamic views. The spirit of the design is meant to embrace, and invite the community to be a part of this development, and residents to be part of the community. Inviting the public into open spaces, connecting the perimeter sidewalks to the proposed Riverwalk, and generating spaces and streetscape that fosters a sense of place. 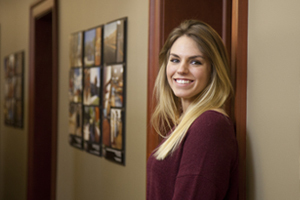 Jessica Hohm joins Byce & Associates, Inc. as an Interior Design Intern. Jessica is attending Western Michigan University to obtain a Bachelor of Science degree in Interior Design with a minor in General Business. Jessica plans to graduate in 2017. Matthew Wyman joins Byce & Associates, Inc. as an Electrical Engineer. Matthew, who is a recent graduate, holds a Bachelor of Science degree in Electrical Engineering with a minor in Mathematics from Western Michigan University. Kyle Kerstiens, Assoc. 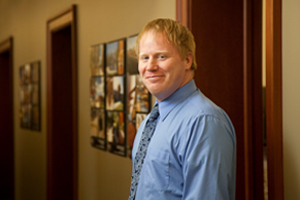 AIA, LEED AP, joins Byce & Associates, Inc. as a Project Architect. 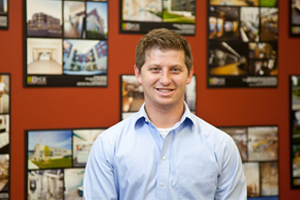 Kyle holds a Bachelor of Architecture and a Bachelor of Environmental Design degrees from Ball State University. He has over 16 years’ experience as a Project Architect working on all aspects of the architectural profession from conceptual design to construction administration. His experience includes educational, governmental, and correctional developments. 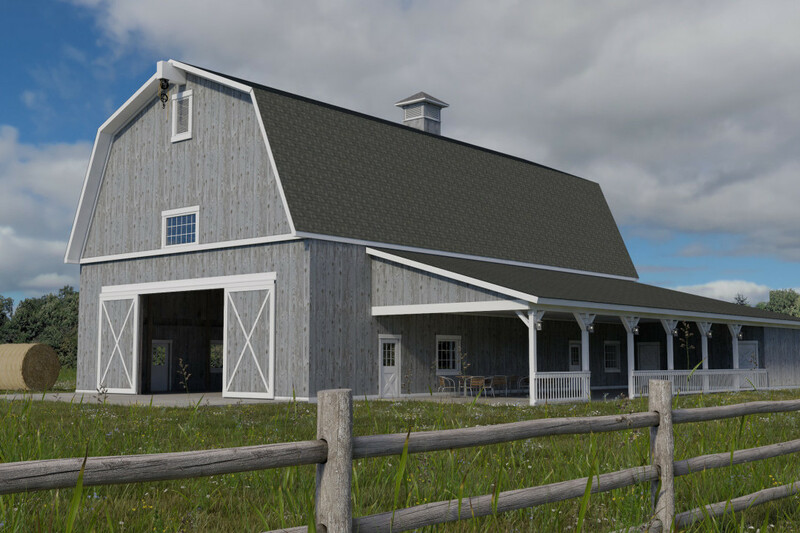 Byce & Associates, Inc. is providing Architectural and Engineering services for the design of the Leslie Meadows Event Barn in Fulton, MI. The 4,200 square foot barn will include a two-story event space with a 1,250 square foot open area lean-to for general event activities, a catering kitchen, and full service restrooms. The upper level balcony will overlook the open space and have access to a roof top terrace overlooking the surrounding meadows. Construction of the building includes a standard post and beam structural framing with timber accents and open gambrel style roof trusses spaced at 4′ centers to accentuate the open clerestory. 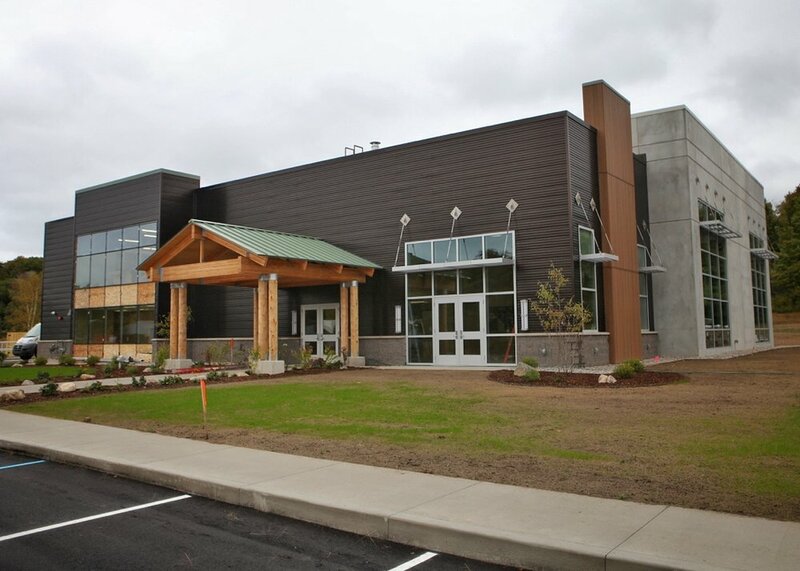 The exterior cladding is vertical natural wood shiplapped siding with antique, semi-opaque stain finish and architectural laminated single roofing. Clemens Food Group, a Pennsylvania based company, recently announced the construction of a new Pork Processing Facility in Coldwater, Michigan. 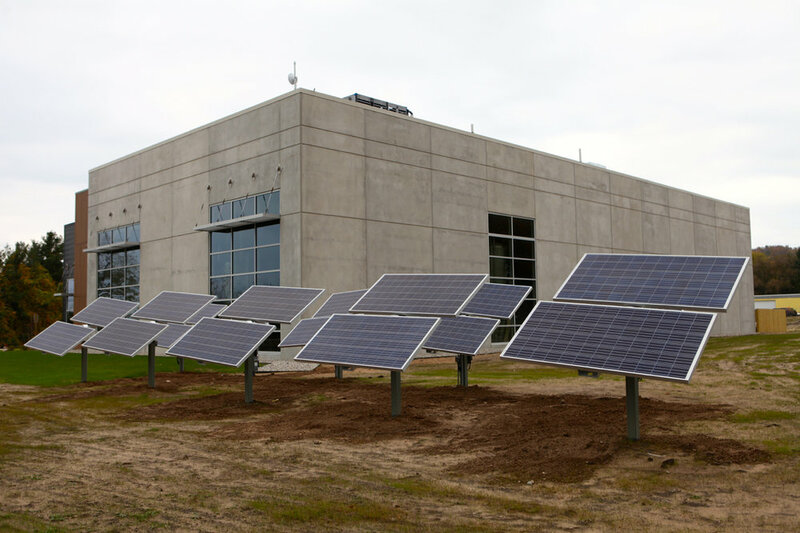 The project is anticipated to generate $255.7M in total capital investment and bring 800 jobs to Michigan. 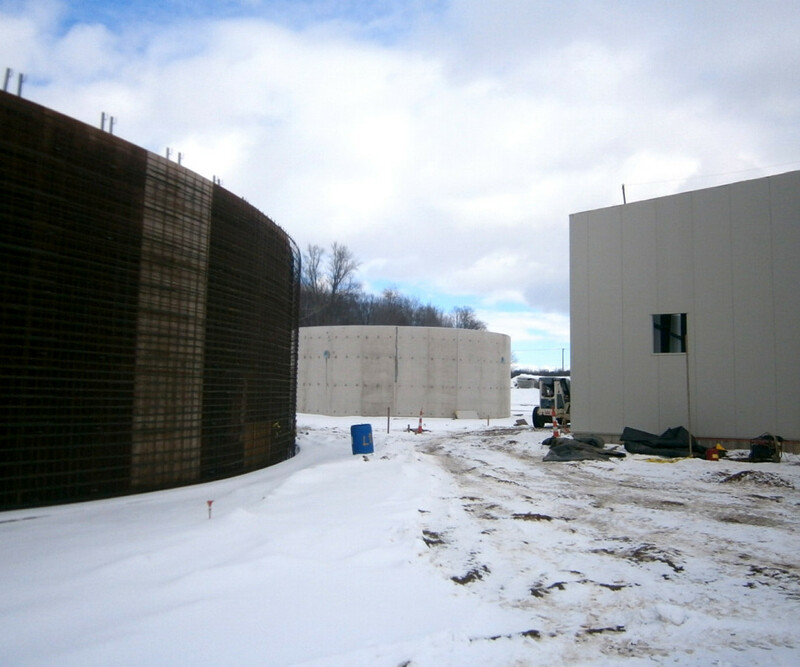 To support Clemens Food Group’s new Pork Processing Facility, Byce & Associates, Inc. partnered with LD Docsa Associates, Inc. for the design and build of the new Waste Water Treatment Plant needed to support the production facility. 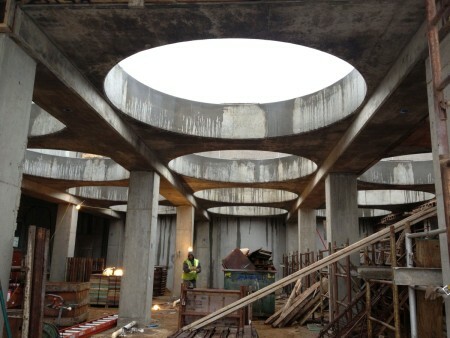 Concrete construction for this project included the design of various waste water tanks and building foundations. 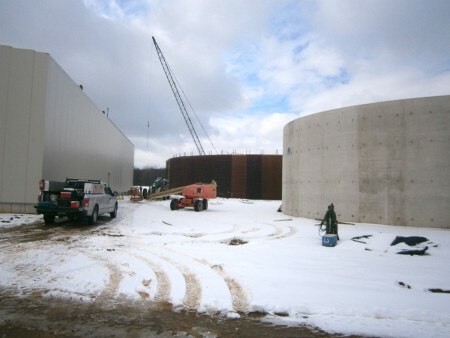 Two 132 foot diameter by 23 foot tall Denitrification/Aeration Tanks with center baffle wall. One 66 foot diameter by 20 foot tall influent buffer tank. 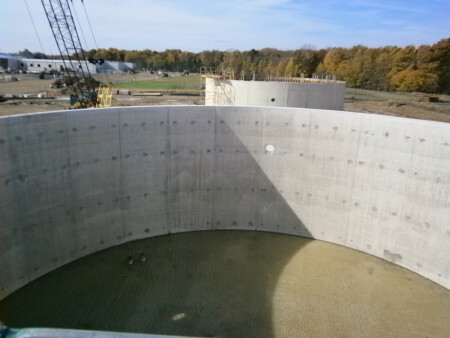 One 33 foot diameter by 20 foot tall Re-use water tank with concrete lid. One 24 foot by 17 by 17 foot deep underground contact tank (within building). 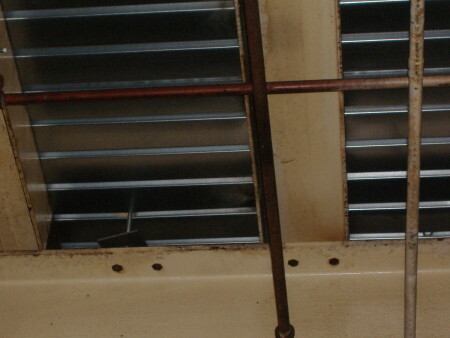 Two lift station pump wells (within building). 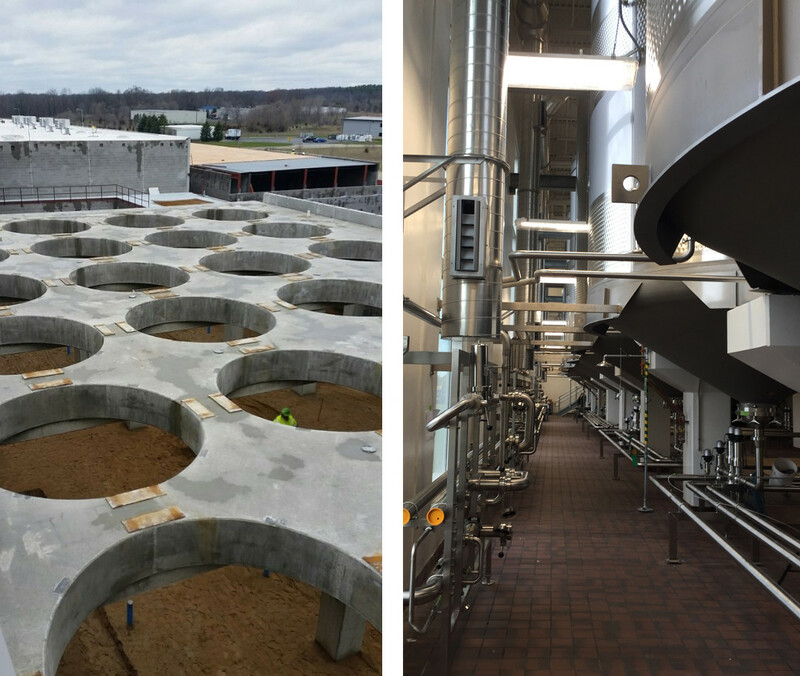 To keep pace with Bell’s Innovative Brewing philosophy, John Mallett, the Director of Operations with Bell’s Brewery, Inc. challenged the Byce Structural Engineering team to explore innovative ways to support their 400bbl and 800bbl fermentation tanks. 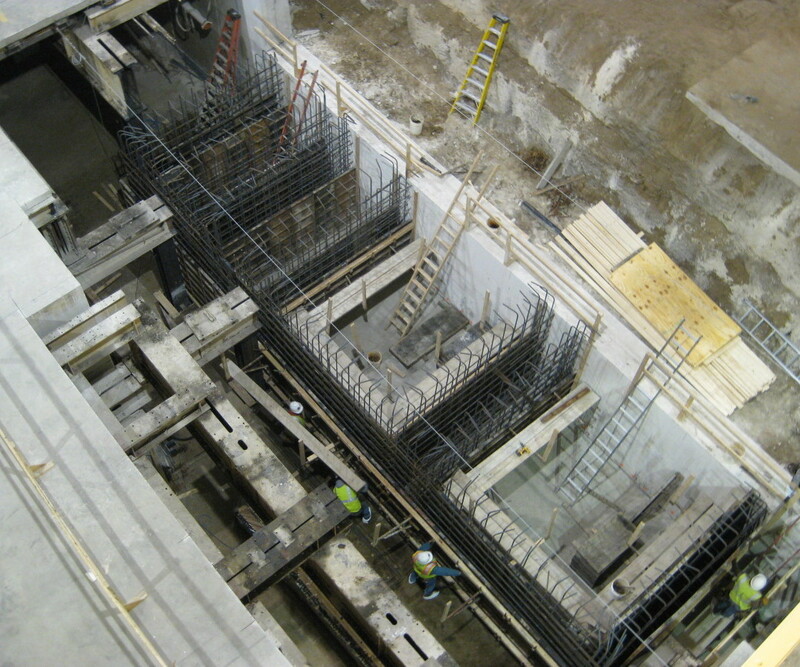 Often, large fermentation tanks are supported from structural steel beams and columns arranged in a tight framework. 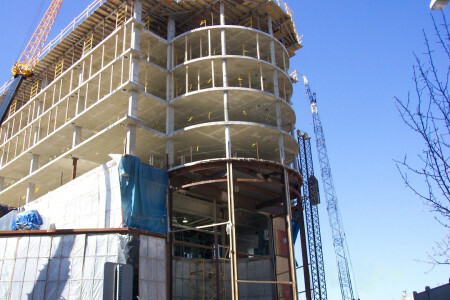 Through the design phase, we determined that Cast In Place Concrete fit not only the innovative nature of Bell’s Philosophy, but also provided the most cost competitive structural solution. 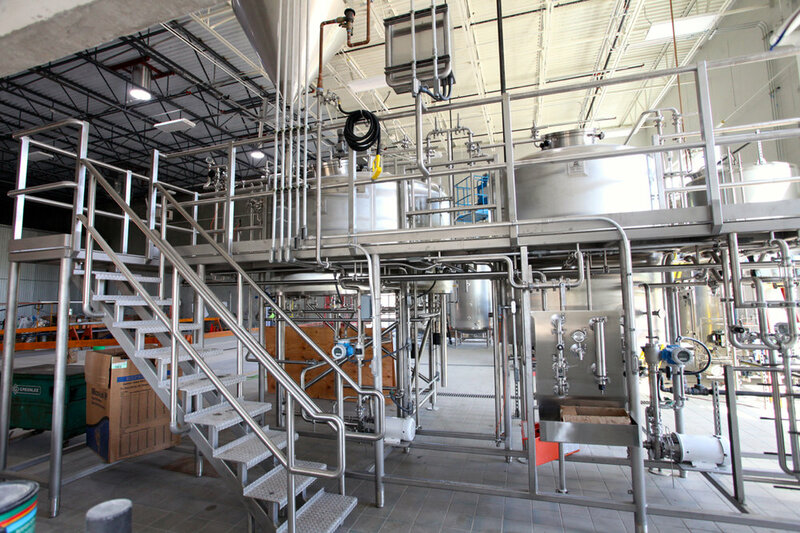 The 2015 Expansion at Bell’s added (16) 400bbl Two Hearted Fermentation Tanks and capacity for (48) 800bbl Fermentation Tanks. 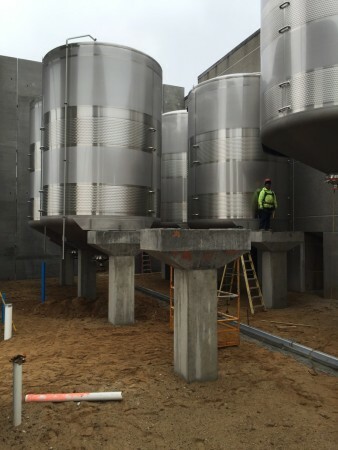 The support structure for the Two Hearted Tanks consisted of 24″x24″ cast in place concrete columns cantilevered up from the shallow foundation system. 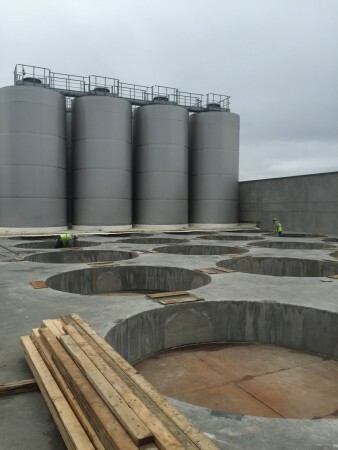 The support structure for the 800bbl tanks consisted of a 30″ thick solid structural slab supported by 24″x24″ cast in place columns bearing on an auger-cast pile foundation system. Kaiser Aluminum Corporation, a producer of high-quality fabricated aluminum products for aerospace, custom automotive and industrial applications, recently redeveloped 264,000 square feet of the former General Motors stamping plant in Kalamazoo, Michigan; an $80 million state-of-the-art billet casting and extrusion facility. Components of the project include: addition of a 4000 Ton extrusion press line, a 6000 Ton extrusion press line, a cast house, new office spaces, and loading docks. This project involved some unique challenges related to building the concrete equipment foundations. The former General Motors Stamping plant in Comstock Township had press pits 18 feet below the main floor level. The challenge for Kaiser Aluminum and Byce was to support the heavy equipment at the main floor level above the basement. Consequently, the 6000 Ton and 4000 Ton Presses required foundations, approximately 25’deep x 50′ long x 18′ wide, which needed to be constructed at the basement level and rise up through the main plant floor. Stretcher equipment foundations have loads of up to 200,000 pounds in uplift requiring mass concrete foundations to resist the uplift. To control the heat of hydration generated temperature differential within these large concrete sections, a mass concrete mix design with 70% slag replacement of cement was utilized. 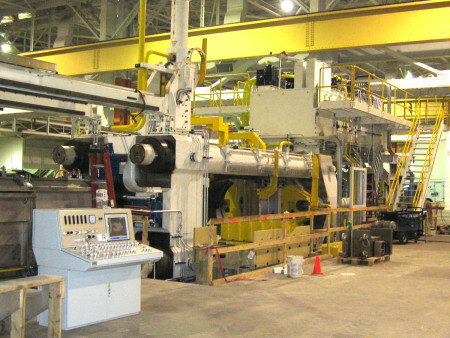 To support some of the extrusion equipment, existing 54″ plate girders were re-utilized. These plate girders previously supported General Motors stamping presses. 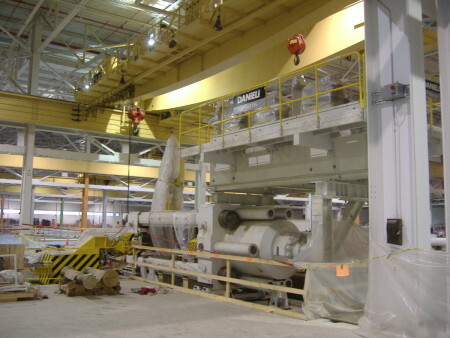 Another significant challenge was increasing the floor live load up to 2,000 pounds per square foot as required by Kaiser Aluminum during their 2009 plant build out. 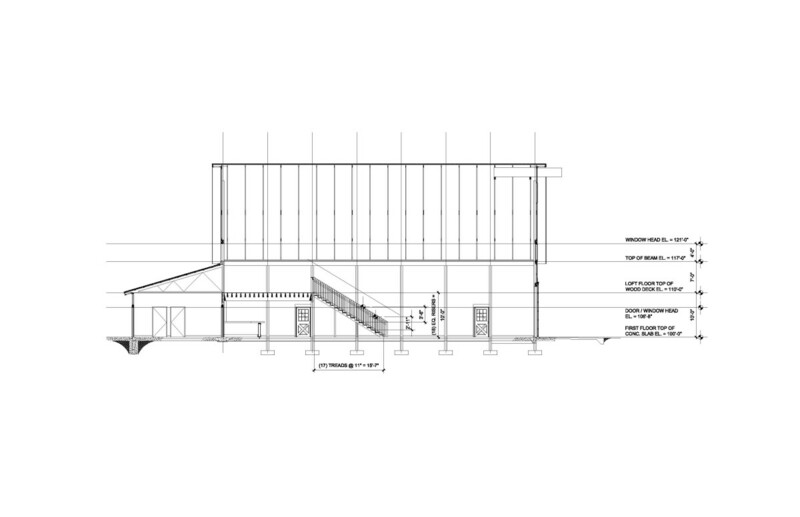 The prior floor structure designed by Byce & Associates, Inc. in 2004 was designed for 600 pounds per square foot by way of a 6″ concrete floor slab on a metal deck, supported by existing W12x40 beams @ 30″ O.C. that were rotated 90 degrees and laid sideways. In order to reuse the hundreds of W12 beams from GM’s original floor, the beams were laid sideways to allow the new floor to line up with the surrounding slab on grade after the GM wood flooring was removed. The challenge in 2009 was reinforcing this floor to 2,000 psf. 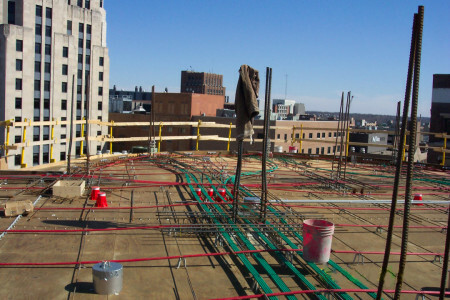 Byce developed a design that involved installing new 10,000psi concrete beams between the existing sideways steel beams. Self-consolidating concrete (Concrete with a slump of 26 inches) was pumped down through the existing 6″ concrete floor to create new concrete beams between the existing flat laying steel beams. 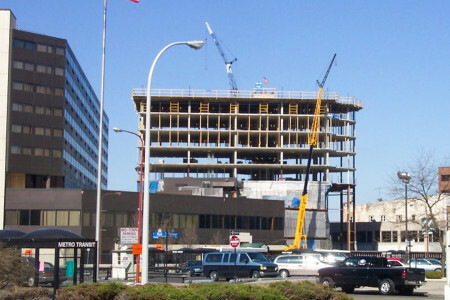 The construction for the Radisson Plaza Hotel expansion included 6 stories of 8 inch thick Post Tensioned Concrete, flat plate floor slabs, supported by 4 stories of a structural steel frame. 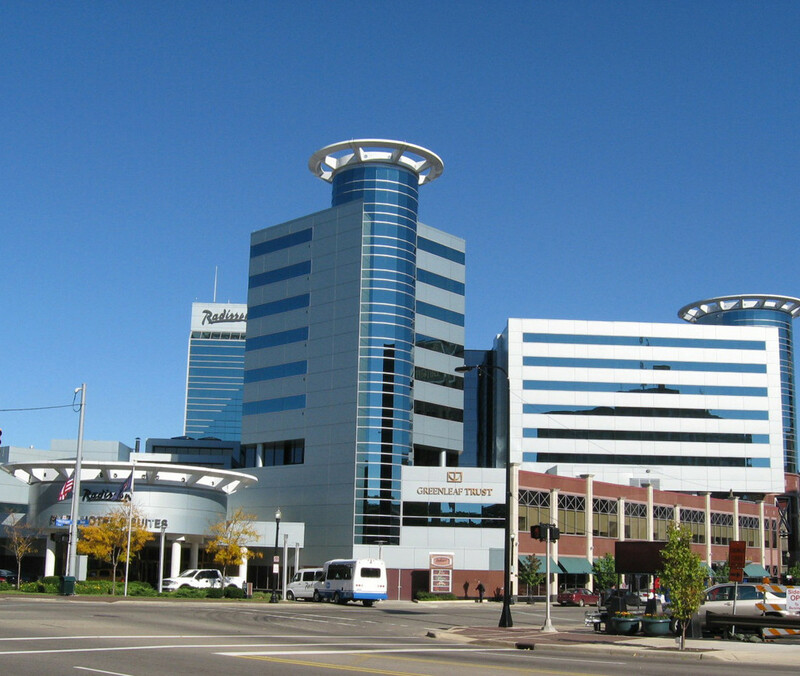 Through the $44 million expansion and renovation, the Radisson Hotel became one of four hotels in Michigan that have received a four star rating. The building encompasses 650,000 square feet of hotel space, four restaurants, multiple conference centers and meeting rooms. 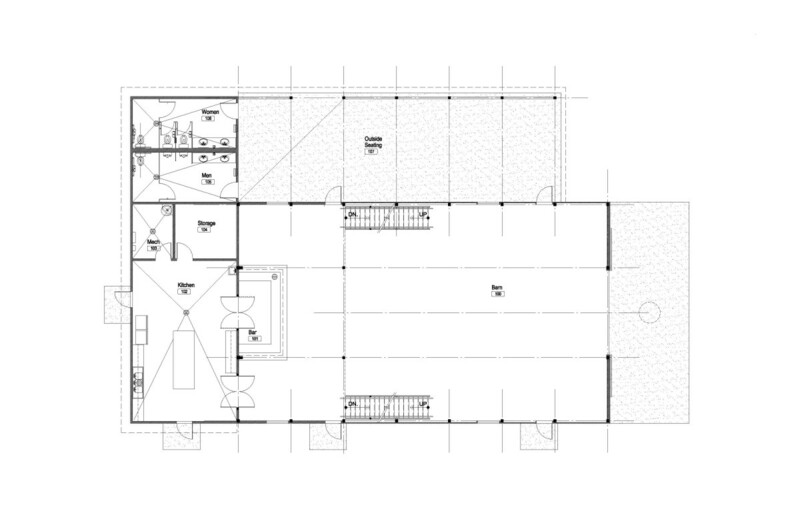 The scope of the renovations and expansion to the original building included: construction of a nine story guest room tower above the original two story portion of the building, installation of a new curtain wall over the existing facade, and renovation to the majority of interior spaces. All new structures are in a way, a new invention and certainly have their own set of unique design requirements. The design of this structure was no exception and required several notable innovations in order to construct the new nine story tower above the existing two story concrete structure. One innovation developed on this project is what architect Mike Simpson called a “Table” concept. At the guest tower, twelve (12) of the Twenty Five (25) concrete columns that extended from the 9th floor roof down to the 4th floor could not continue directly to the foundation, due to constraints of the existing two story concrete structure beneath. To accommodate these constraints, we proposed a “Table” concept at the fourth floor as a way to transfer the load of the 12 discontinuous columns. This table essentially stilts 60 feet tall around and through the original structure and supports the concrete structure housing the guest rooms above. 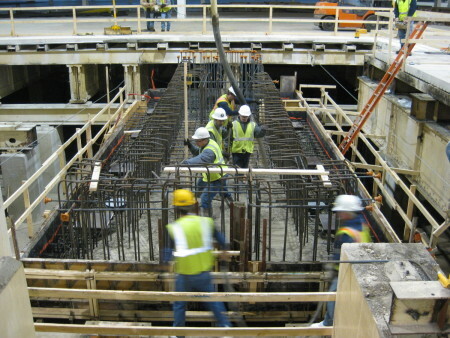 At the table level, a typical column transfer beam consisted of three (3) – 40″ deep wide flange beams spanning 50 feet. This concept allowed for fixed columns located beneath the fourth level and allowed for some design flexibility in the column layout above. As each new floor was constructed, more and more dead weight was added to the fourth floor “Table” structure. 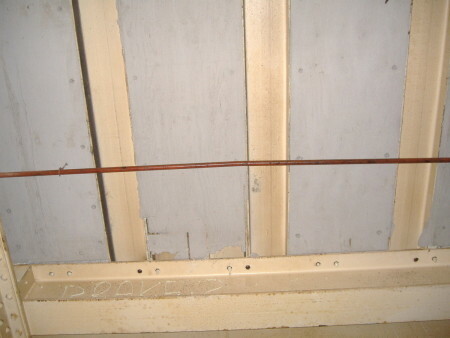 This added weight induced deflection in each transfer beam. To compensate for the accumulation of deflection in the concrete structure during each additional floor placement, a system of jacks was installed at the discontinuous columns at the fourth floor. The jacks were raised after each floor was constructed to keep all the floors near level. 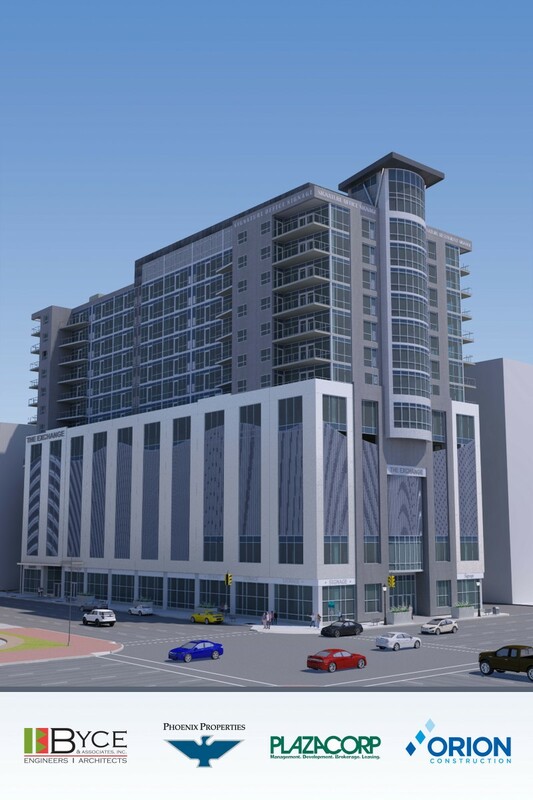 The Exchange Building; currently in design and slated to commence construction in early 2017, is a 15 story mixed-use development in the urban center of Kalamazoo, Michigan. The Exchange Building will house commercial and retail lease areas on the first, second and seventh floors. 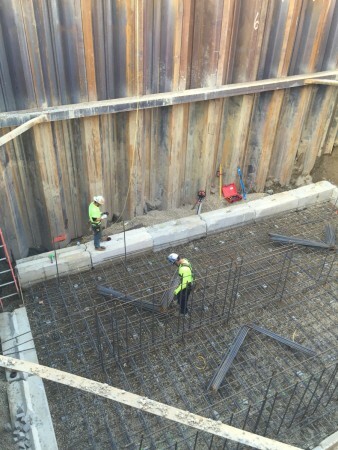 Levels three through six will provide secure automobile parking for occupants and residents. Floors eight through fourteen will be residential units with a mix of one-bedroom, two-bedroom and studio apartments with views overlooking the city. The fifteenth floor will accommodate a restaurant, fitness center, as well as, landscaped and furnished rooftop terraces for residents, occupants, patrons and for special events. The site is located in the cultural, civic and economic heart of Kalamazoo and Kalamazoo County. It is adjacent to the iconic Bronson Park, the ‘town square’ of Kalamazoo and a short walk to the Civic Theater, Kalamazoo Institute of Arts, a plethora of unique shops, restaurants, cafe’s, and the epicenter of the Kalamazoo Craft Brewery District. 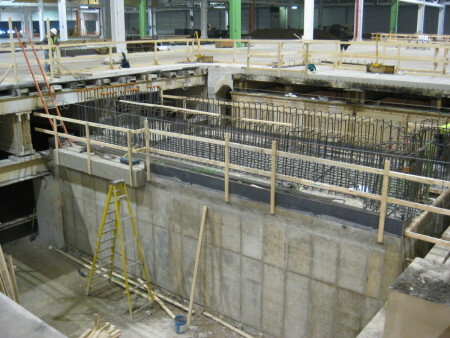 The construction systems include an auger cast pile foundation system, cast in place concrete columns, and post tensioned concrete floor decks. The exterior envelope enclosure will include pre-cast concrete panels, cast-in-place concrete walls, aluminum frame storefront systems with insulated, tinted and colored glass units. The parking decks will be screened with vertically oriented aluminum extrusions providing a decorative louvered screening effect. Commencing in early 2017, the construction duration will be just over a year and a half and ready for occupants in mid 2018. 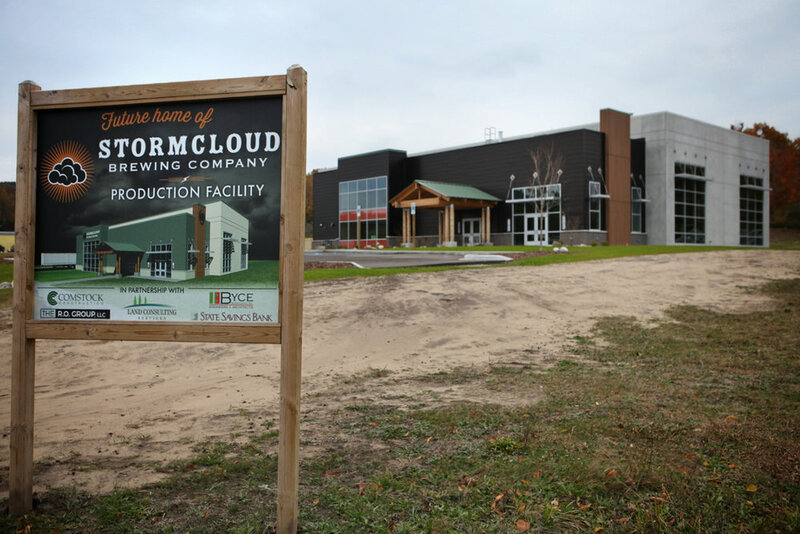 Currently in design is the Stormcloud Brewing Company’s Production Facility Expansion in Frankfort, Michigan. Stormcloud Brewing Company, voted “Michigan’s Best New Brewery” in August 2016, has been in operation for 3 years brewing Belgian Inspired Michigan Made Beer and cooking up locally inspired food. Byce & Associates, Inc. is providing Architecture, Interior Design, Mechanical, Electrical and Structural Engineering Services. The new 10,000 square foot facility will include a dedicated brewing, fermentation, and bottling areas as well as, cold storage and shipping and receiving. Office space and a small tasting room and mechanical area will be provided. The design intent focuses around connecting the new facility to the existing brew pub as a way for Stormcloud to maintain its roots in Downtown Frankfort. Look for completion in 2017. 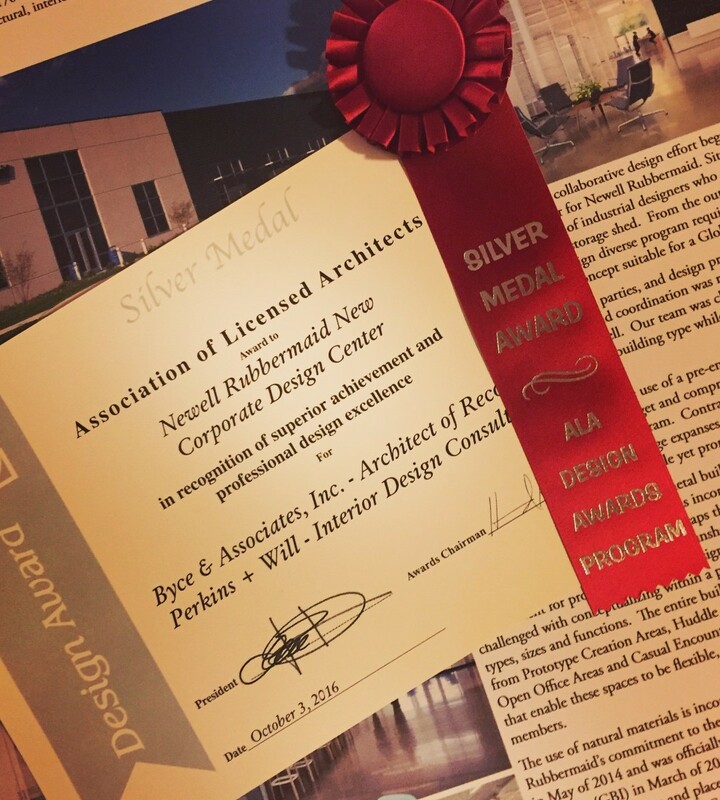 The Association of Licensed Architects (ALA) has awarded the design team with the Silver Medal for the Newell Rubbermaid Design Center. The design team included Byce & Associates, Inc. as design architect, AVB, Inc. as design builder, and Perkins + Will as interior designer/branded environments. The annual Design Awards Program showcases the power of design by the members of ALA.